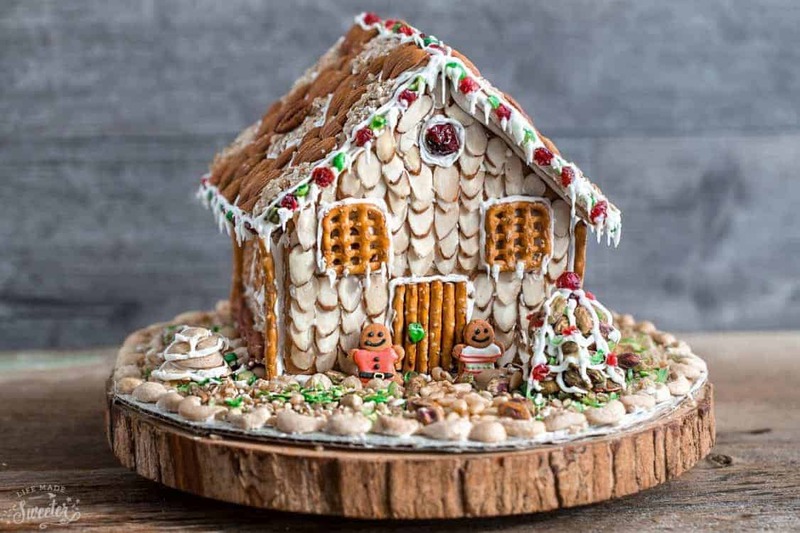 With the Christmas season coming, or is it already here, I thought it would be fun to do some lists relating to Christmas: Ten Gingerbread Houses You Would Live In…Then Eat. The witch’s house in Hansel and Gretel has nothing on these confectionery structures. 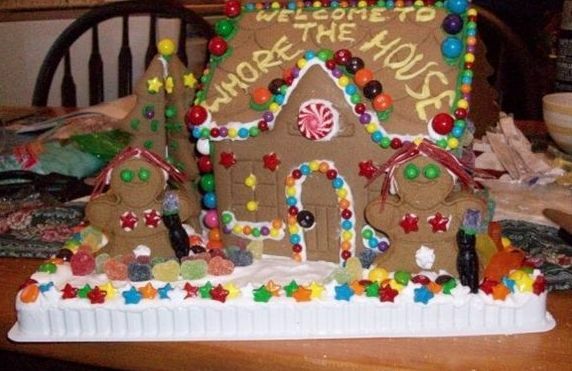 Few gingerbread men will admit a visit to this house of ill repute located on the “other side” of Candyland, across from the Molasses Swamp. Gramma Nutt, from Candy Land fame, still runs the place and makes sure every gingerbread man gets his gumdrops off. The gingerbread girls are the sweetest and were baked anatomically correct, with ginger in all the right places, if you know what I mean. This gingerbread family was doing something right financially. They finally made it to the top and are living in their dream gingerbread mansion. At least until the government finds out about the illegal immigrant Bizcochitos (Mexican Christmas Cookies) they hired. This gingerbread brownstone home was recently declared an historic landmark and avoided being condemned or digested. Even though it had been des(s)erted, except for the occasional homeless gingerbread man, the city made every effort to keep it from being eaten, I mean torn down. Like most Victorian gingerbread homes, this one is haunted. As the story goes, a former gingerbread man who owned this gingerbread house lost his head when he fell head first into a milk bath by accident. Knocked unconscious, his head slowly disintegrated, turning the milk bath into a sickly brown liquid. The police on the scene said he was delicious. His headless gingerbread ghost still makes the rounds searching for his lost noggin, or so they say. 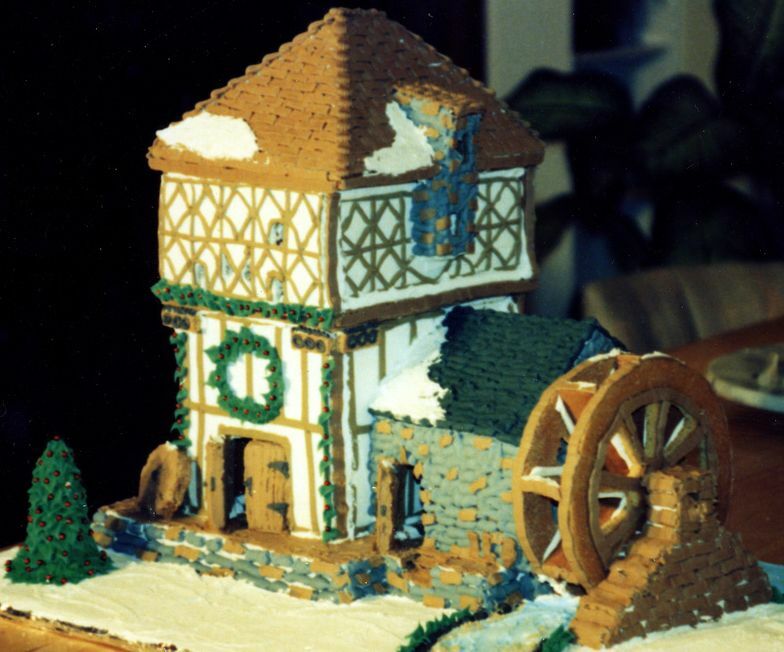 A clever twist on the “ordinary” gingerbread house, the Gingerbread Mill, which produces, yep you guessed it…ginger. There are cruel rumors that this is really just a front for a ginger sweat shop, won’t somebody please think of the children? 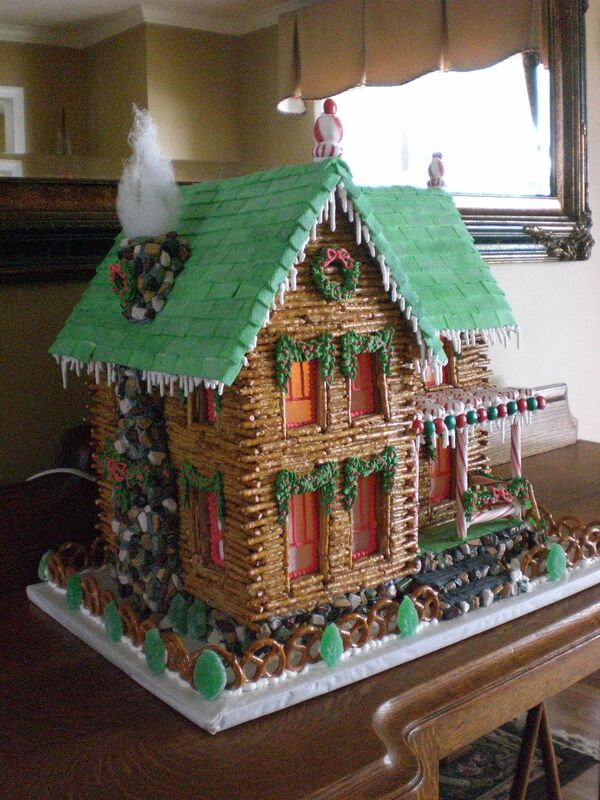 This builder made a delicious and “green” decision to build a gingerbread log cabin. His heating bills will be much lower this year. He was used to living in an oven, so he likes it extremely warm. This gingerbread bridge allowed the gingerbread families to save 20 minutes off of their daily commute from the candy land countryside. This replacement bridge still serves as a reminder of the horrible gingerbread bridge collapse of 1883. Some 30 gingerbread souls perished. More were baked soon after, so it’s cool. Luckily these gingerbread townhome owners all get along, even while being right on top of each other. A family of “odd smelling brownies” tried to move in, but the owners association stepped in and had the offending treats removed. Thank goodness. The housing market in this area has hit rock bottom and while a gingerbread home like this used to sell for just under a 2 million chocolate chips, you’d be lucky to get 1 million chocolate chips today. We need to get the gingerbread men and women working again. Yes, we can! Every gingerbread man dreams of retiring to the countryside and living out his sugary life in a quiet cottage among the friendly borders of the Lollipop Woods. Candyland prices are skyrocketing, so buy now. Ohhhh! Such lovely and amazing works of art! Yum! Yum! and delicious too! I must send this article to my granddaughters. They are very artistic and will love this! Good pictures and Funny commentary!! Oh my gosh when i first saw these gingerbread house my world went wild. i couldnt beilive my eyes. i for real got up went and got my husband and we went and bought all the ingrdients and made this miracle hapen. i love movies hbu?? 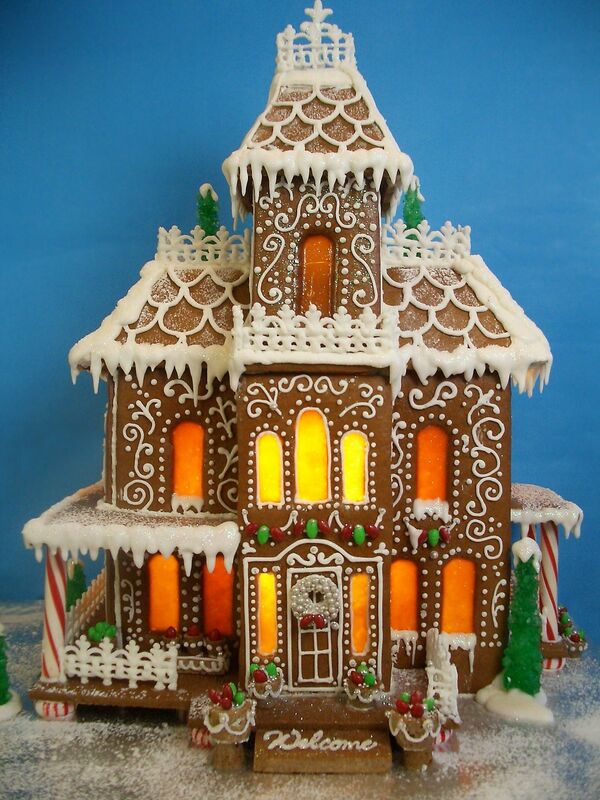 These gingerbread houses are amazing! I could do without the dumb commentaries. They're really a sad attempt at humor. How about some information on how they were constructed? Uhm isn’t the second one (Gingerbread Mansion) the Winchester Mystery House? I am fairly certain it is, in the museum next to the gift shop. If so no one was “living their dream” in that mansion. 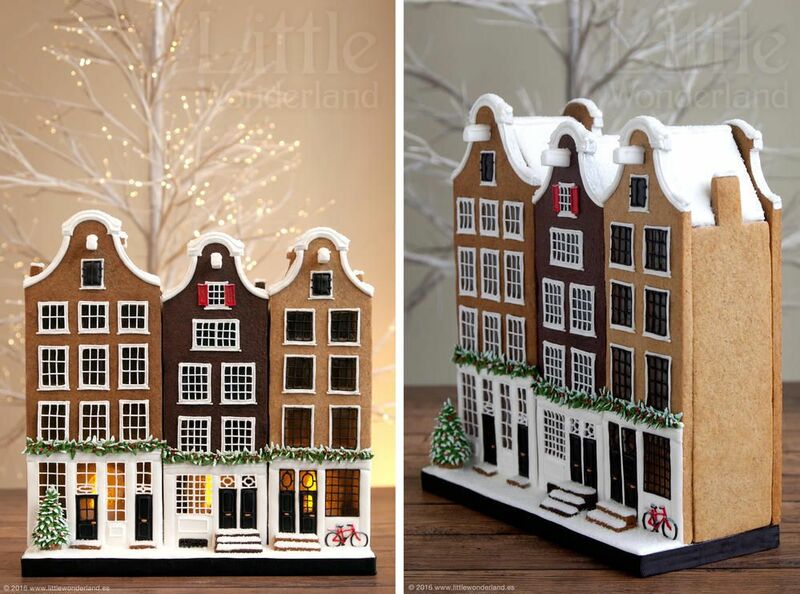 These are beautiful gingerbread houses. I’m looking for inspiration for my Global Gingerbread House contest this year. I might do something like the brownstone one… very cool. nice list. but i don’t get why the first one is a cat house. do i miss something? I don’t mean to be a jerk or anything but (even though i liked the houses) the obvious attempt at humor fell way short of expectations. Sorry writer, i’m not trying to be mean but it wasn’t funny. These are amazing. Check out our work in progress. These are beautiful! Looking for inspiration with my son. Thought the comments were very cute! Thank you, it feels good to be appreciated. The super racist commentary is really, really not. Brownies? Really? WooHoo! An overreaction to a misunderstood work of fiction. It is what makes the USA so great…end sarcasem… I feel bad for doing this to you, but you asked for it. The reference I made to brownies is not based on any race or color of skin, it is based on the fact that marijuana is often put in brownies. I accept your apology even though you probably won’t do it publicly. This site and its owner (me) is not racist and we are not politically correct.